Making Hilton Head Vacations Memorable! Hilton Head Island has some of the finest places to stay in the South. A Hilton Head resort can be expensive but you can expect clean, updated rooms and friendly staff everywhere. Southern hospitality is abundant! Here are some of the best Hilton Head hotels and resorts that we have visited or stayed at. This Hilton Head resort is tucked away in Shipyard Plantation. The Crowne Plaza has stunning landscaping with few oceanfront rooms and a distance from the water, but is one of the only Hilton Head hotels that has a golf course praised by the National Audubon Society for its respect for local wildlife. The sheer beauty of the landscaping and attentive service make this resort a nice place to stay but keep in mind it is the farthest from the ocean than most of the other resorts. 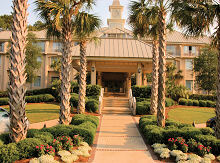 Read more about Crowne Plaza Hilton Head Island SC hotels. 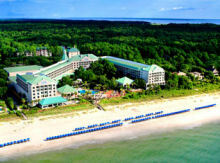 Disney Resort is one of the best family oriented Hilton Head hotels. Its located on 15 acre islet in Broad Creek. Many villa units have marsh or marina views with porches and rocking chairs. The resort has a fishing pier and beach club a mile from the property with shuttle service provided. Kids are kept busy with many summer-camp-styles activities. The fishing pier was a big hit with my teenagers (it got them out of bed, no sleeping in when theres crab to catch). We met one father /son team who caught enough crab to eat for breakfast lunch and dinner. You can rent the poles and crab nets at the dock of Disney Hilton Head Resort. Read more about Disney Hilton Head Island Resort. Many island visitors (including myself) prefer the Hilton Oceanfront Resort because of its hideaway location. 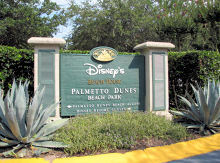 The Hilton is tucked at the end of the main road through Palmetto Dunes. The low-rise building features hallways that open to sea breezes at either end. The guest rooms are some of the largest for a Hilton Head resort, and balconies angling out toward the beach allow ocean views from all accommodations. We like this property, the rooms are nice and big. Hint: Make sure to rent your beach chairs and umbrellas at the Hilton Cabana by the pool and not on the beach, they charge twice as much. Read more about Hilton Head Island Resorts - Hilton Oceanfront Resort. Hilton Head hotels can be expensive but if youre looking for a moderately priced Hilton Head resort, on the beach, and within walking distance of shops and restaurants then the Holiday Inn Oceanfront is a great choice. The rooms are spacious and well furnished but the balconies are small. The beach is one of the islands busiest. The Holiday Inn Oceanfront would make a nice Hilton Head vacation for those who dont really care where they stay as long as its on the beach and considered a Hilton Head resort. 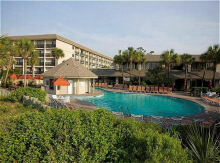 Read more about Holiday Inn Hilton Head Island Hotel. 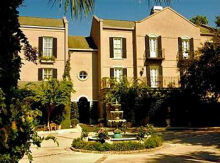 Known to be the best Hilton Head resort is the Inn at Harbour Town. This hotel pampers you with British service and a dose of Southern charm. First-class accommodations with spacious guest rooms a boutique-style atmosphere inviting you to be pampered. Located near the popular Harbour Town Yacht Basin also within Sea Pines Resort. Walking distance to The Sea Pines Racquet Club (state-of the-art- tennis facility) and Harbour Town Golf Links (PGA golf course). WOW! Very nice. Read more about Inn at Harbour Town Hilton Head Island Resort. The Inn at Palmetto Bluff is a peaceful choice for a Hilton Head Island resort. Located on the May River, fifteen minutes from Hilton Head, this new resort is one of the most luxurious in the Low Country. Transformed into a picture perfect replica of a small sea island town makes it unique and fun for kids. The Inn at Palmetto Bluff puts you immediately in touch with nature as it is surrounded by South Carolinas Low Country. What makes this Hilton Head resort different? 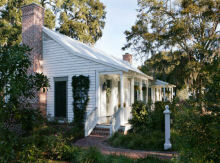 The cottages and cottage suites are unique and inviting and will make for a relaxing Hilton Head vacation. Read more about Hilton Head Island Resort - Inn at Palmetto Bluff. Designed like a small-scale villa that you might expect to see in the south of France the Main Street Inn is a luxurious thirty-three room property. With a formal garden and afternoon tea theres a sense of tranquility at this Inn; it will make you feel like a guest of a rich friends estate. If youre searching for an alternative to the less personalized mega hotels, this would be the place to stay! There is a drive to the beach. 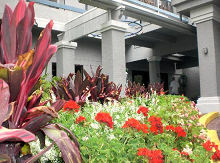 Read more about Hilton Head Island Hotel - Main Street Inn Hilton Head. Bordering the oceanfront and surrounded by Palmetto Dunes Plantation, this hotel has a tropical twist. All guest rooms have private balconies that have either ocean or island views (get the ocean view, well worth it). Some rooms are small but all are nicely furnished. The Marriotts sports and recreation program is one of the best of Hilton Head hotels, it kept my kids busy. The hotel's pool is close to the beach so it makes it nice to go back and forth. Read more about Hilton Head Island Marriott Resort and Spa. This luxury resort is set near the isolated northern end of Hilton Head Island with lush landscape. This is a great choice for a Hilton Head Island resort if youre looking for a quiet place without a bunch of kids. Most rooms are ocean views with balconies. When we take a Hilton Head vacation without our children, we like to stay here. The resort is on the islands quietest stretch of sand, grab a chair and relax! 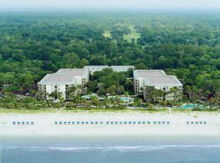 Read more about Westin Hilton Head Island Hotel. Timing is everything when planning a Hilton Head vacation. To score a good deal or even a room , you need to plan ahead. Some of the best locations are booked six months to a year in advance, almost year-round. The high season is May through August with holidays being the busiest and most expensive. Spring is a gorgeous time to visit; azaleas, wisteria, and jasmine are all in bloom. Temperatures are moderate year-round so tourists are ever-present. If you are travelling I-95 from the Northeast (or want to take a detour for those coming from elsewhere) there's a great place to stay on the borders of the Carolinas near Florence, SC. Abingdon Manor Inn, a seven-room country inn, located in a quaint, turn of the century village of Latta, SC. Do you enjoy fine dining (who doesn't)? The restaurant at the Inn is a real culinary experience and award winning too! 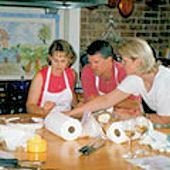 We enjoyed the cooking school and took home some pretty impressive recipes with shortcuts in the kitchen. This Inn makes for a nice Romantic Getaway or Girls Weekend Away. Abingdon Manor is listed in the National Register of Historical Places. No kids!